It is funny how we adopt “common” wisdom so often without research. We trust those around us who are doing similar things to give us good advice and most of the time they do. Recently I ran into what could have been a very expensive problem because I trusted similar things advice. A Haas tech rep told me that if I don’t run the mill on parts that once a week I should at least run a program that will keep ball screws lubricated. I ran this program the other day and walked off. The next day I go and look and laying on the Y axis way cover was my Cat40 holder and now broken end mill. Here is the culprit responsible. Shops around here have told me that they save money on retention knobs and typically look for cheap prices or used but in seemingly good condition knobs from places like EBay. They also never torque these things in but just crank on them until tight. Now I know every person by that metric has a different torque value. Since my arms are pretty big I crank them down. The end result of something like this can ruin your spindle at worst with damage to the inside of it from a loose Cat40 holder clanging around. This is a very expensive repair and will eat up both your time and money. I talked to Technology Sales in Chattanooga TN which has supplied me for years and we got off onto a whole world of things I had no idea of. None of the people around here who have machine shops do either as far as I know. 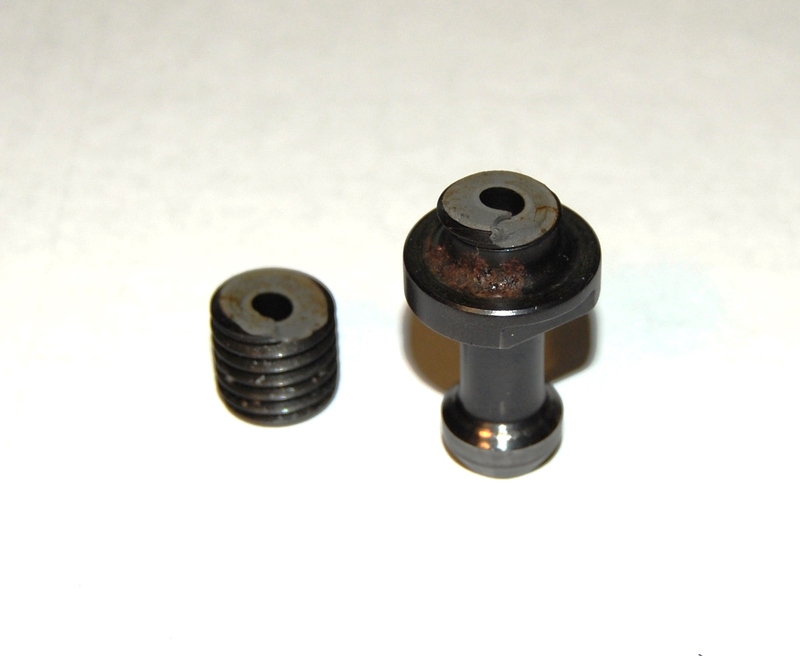 Now I happened to have some used JM knobs in use and I will talk about what I observed with them shortly. For now though look at the difference in the construction of the no name and the JM knobs. Now go here and read https://rktorquetest.wordpress.com/pdf-downloads/ . These articles are six and seven years old but the information is current and in searching I could not find anything that supersedes what they talk about with a newer better design. The tooling guy at Technology says there is nothing better and the customers he has that try them migrate solely to the JM knobs rather quickly. These ran me $28.00 each and it is just one of those funny things we machine shop owners do at times. We balk at high prices in some areas because we just don’t know there is an underlying reason to spend the dough anyway. Judging by the studies done and the specified torque value for the Haas style knobs of 22.5 to 25 foot pounds I was probably only three to four times what I should have been. I have no doubt the no name knob was also not good from the very start but I exacerbated the whole situation with the gorilla torque method. JM also sells a knob socket which you can use to correctly install knobs. In all the shops I have been in I have never seen or been told about this. I switched to Schunk hydraulic holders for my HSM Adaptive cutting because you get perfect concentricity on your end mill center line which gives better life and cut quality. 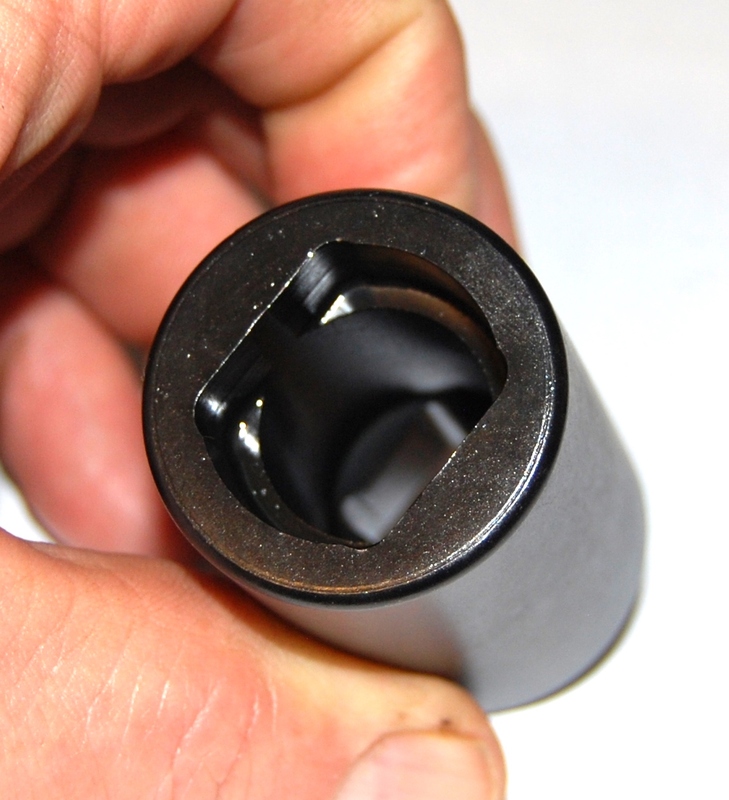 I did not realize however that typical retention knobs would introduce measurable distortion of the tapered shank on the Cat40 holders as one of the articles in the web link demonstrates. I could prove to my own satisfaction they were telling the truth by looking at my holders which had been in service for some time. 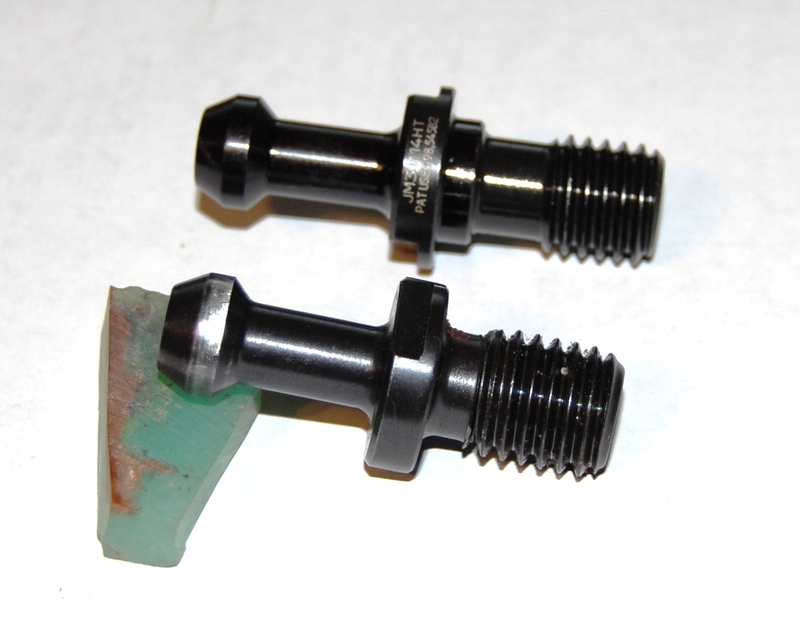 The ones with the used JM knobs even though no doubt over torqued showed an even contact pattern on the tapered shank. The ones with the no name wonders showed a ring of contact at the top and bottom but very little in between. I can see with my own eyes what they were talking about. I and can also easily believe because of this that there were induced inaccuracies from distortion of the tapered shanks as the study said. I think it would be time well spent for any milling machine owner to investigate what practice your shop uses and make changes before it comes back to bite you like it almost did to me. Save your spindle and improve your surface finishes and accuracies in one easy step. This entry was posted in Uncategorized and tagged CAMWorks for Solid Edge, CAMWorks for SolidWorks, Delcam, EdgeCam, Esprit, Haas, hsmworks, Inventor Pro HSM 2016, Mastercam, Powermill, Retention knob, Surfcam, vertical maching centers. Bookmark the permalink.